InfoSearch BPO Services is a Business Process Outsourcing (BPO) and Call Centre Service Provider based at Chennai, India. InfoSearch Provides unmatched, innovative, cost-effective, world-class, customized BPO and Call Center Services by combining technical expertise, skilled resources and advanced technology. InfoSearch Services include Inbound/Outbound Call Center Solutions, Human Resources Services, Customer Services, Telemarketing Services, Help-Desk Services, Technical Support, Chat/e-Mail Support, Lead Generation, Data Processing, Knowledge Process Outsourcing and other Web-Related Services. 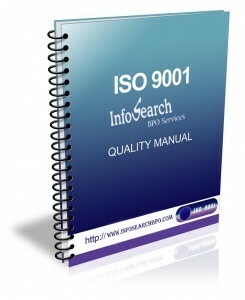 InfoSearch BPO Services provides outsourcing solutions to clients internationally. It deals with both Inbound and Outbound Services. The Services are offered to Business-to-Business and Business-to-Consumer requirements. InfoSearch caters to the needs of small and medium enterprises. After analyzing requisite information about the clients’ businesses’, InfoSearch conducts necessary market research so as to customize the scripts. The telemarketing staff at InfoSearch BPO Services are specifically trained and qualified for a particular project. This ensures effectiveness and efficiency.